Well located condo across from shopping on Bank Street! 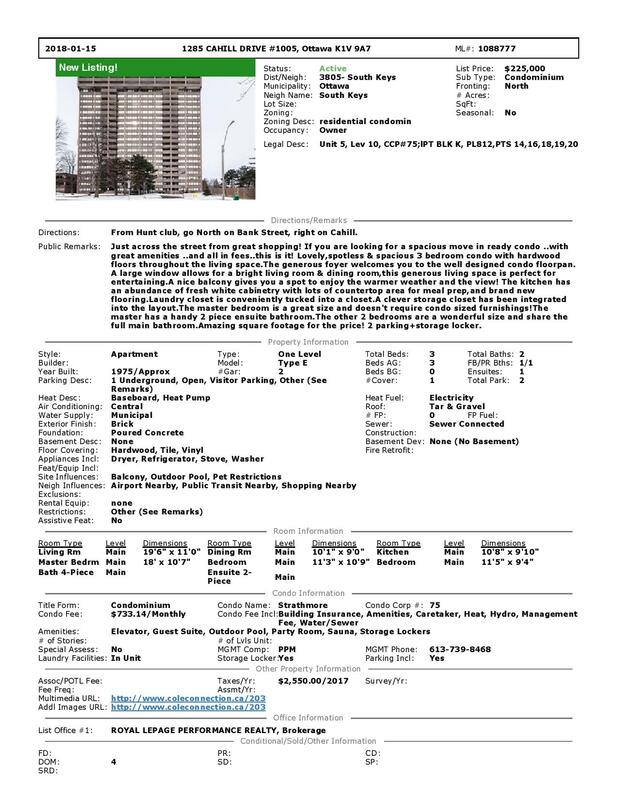 If you are looking for a spacious move in ready condo ..this is it! Lovely, spotless and large 3 bedroom condo with hardwood floors throughout the living space. The generous foyer offers a welcoming space with a good sized coat closet. A large window allows for a bright living room and dining room, this generous living space is perfect for entertaining or for family gatherings. A large balcony gives you a space to enjoy the warmer weather and the view! In the kitchen there is an abundance of fresh white cabinetry with lots of countertop area for meal preparation and brand new flooring. Laundry closet is convenient yet hidden in the space. A large closet allows for storage of your much needed items.The master bedroom is a great size and doesn't require condo sized furnishings! The master has a handy 2 piece ensuite bathroom. The other 2 bedrooms are a wonderful size and share the full main bathroom. You don't get this square footage for this price very often! 2 parking+storage locker. His and Hers saunas, games room/library, party room/meeting room, outdoor pool, workshop, and a bike room.